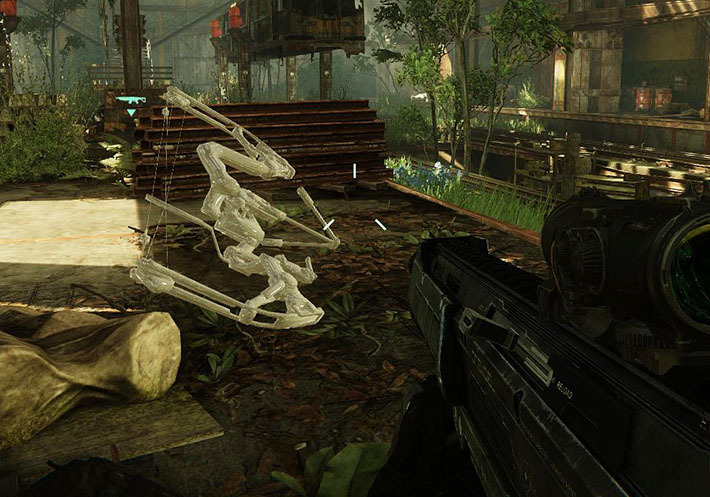 Players can lose their Predator bow permanently due to a glitch in the game. 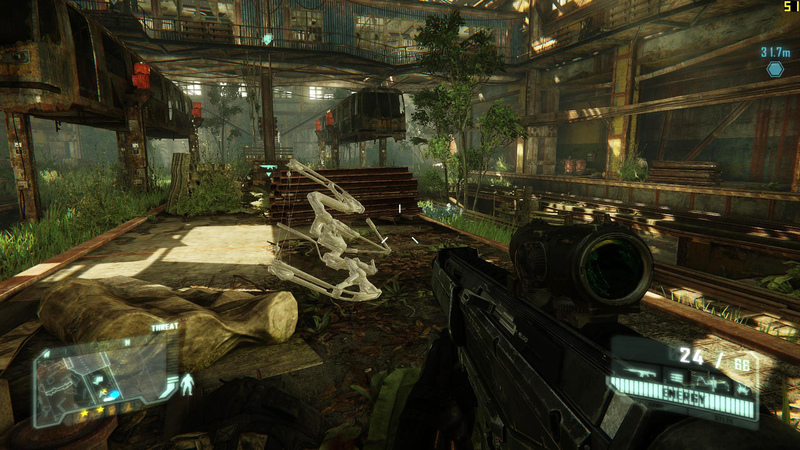 While running around the battlefield and swapping weapons in the single player campaign, you might suddenly lose your bow and find it hovering ghostly white in front of you with no texture. At this point, your bow is lost and you can no longer interact with it. Moving forward and hoping it will return to your inventory will only ruin your saved game. If you see the screen below, immediately reload your last save. Solid Tip: This glitch occurs in all versions of the game- PC, Xbox360, and PS3. It is not the same bug that some experience where the bow is invisible and can still be fired (which also occurs to some players). Sadly, there is no solution to get your bow back, even with the PC version console commands.